One of the fun parts of being a food blogger, is you’re sent wonderful new appliances to review. 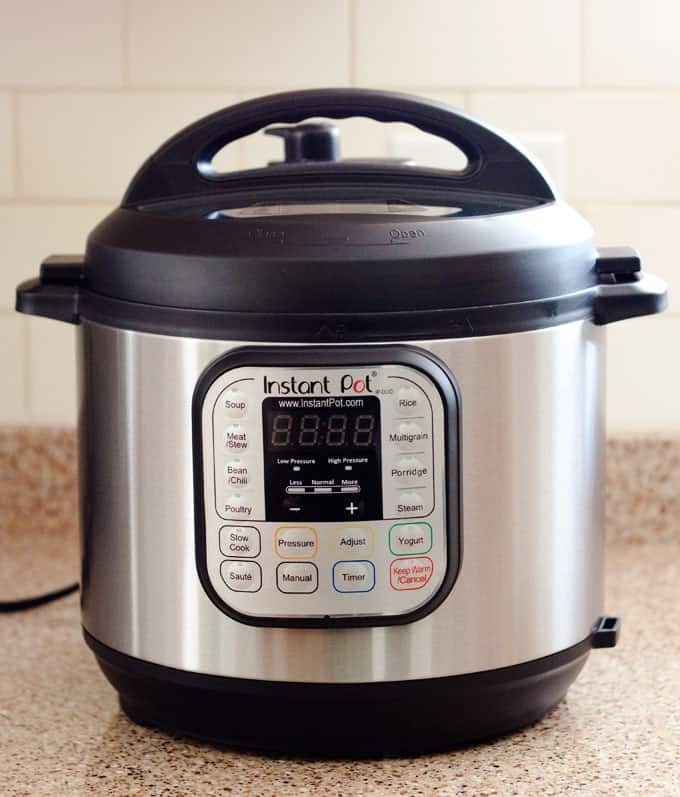 I was recently sent the new Instant Pot IP-DUO60 7-in-1 Programmable Pressure Cooker to review. It’s the 3rd generation of the Instant Pot and it’s a fantastic pressure cooker. It’s set it and forget it easy, super quiet, has very little evaporation, a wonderful stainless steel pot, and so much more! About a year ago, I reviewed the 2nd generation Instant Pot Electric Pressure Cooker the IP-LUX60. 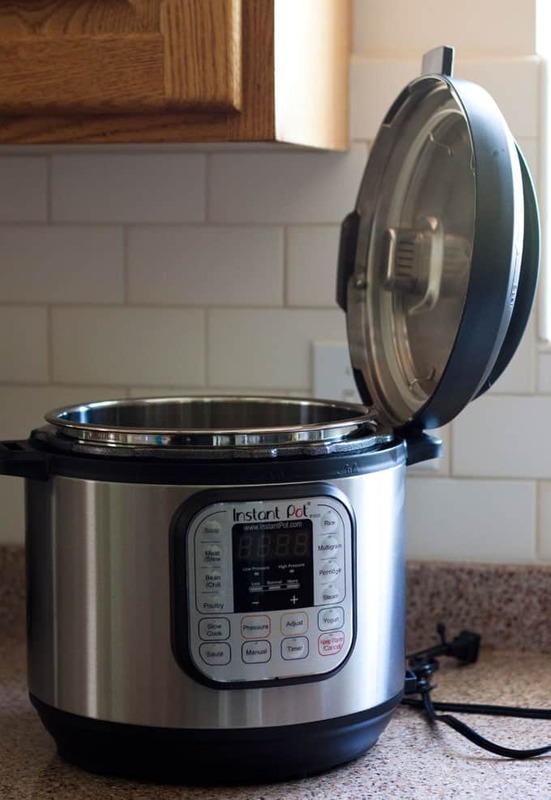 It’s a great pressure cooker, but I did like some features on the Cuisinart that the 2nd generation Instant Pot didn’t have. It didn’t have a low pressure setting; it didn’t have a browning or simmer setting, and it didn’t have a float valve that was easy to see when it dropped and the pressure had been released. 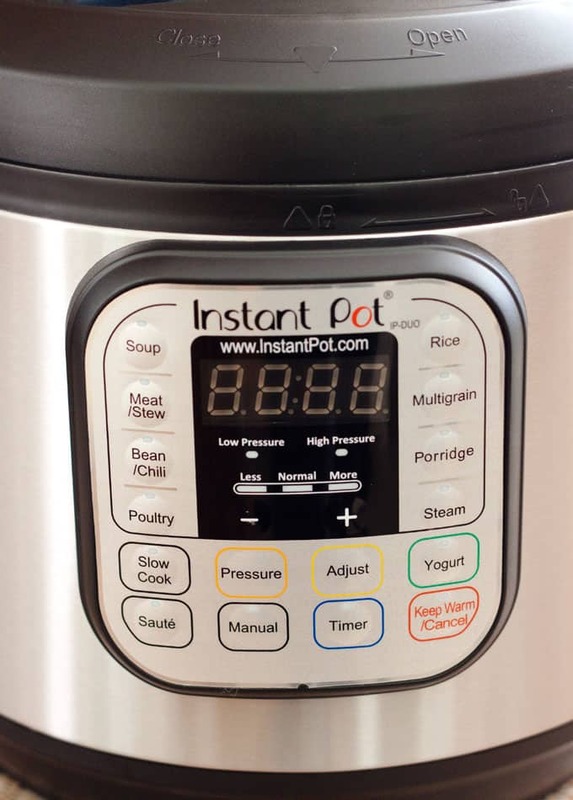 The new Instant Pot has added all those features and more! They’ve added a low pressure setting. The Saute setting now also has a less heat setting (simmer), and a more heat setting (browning). 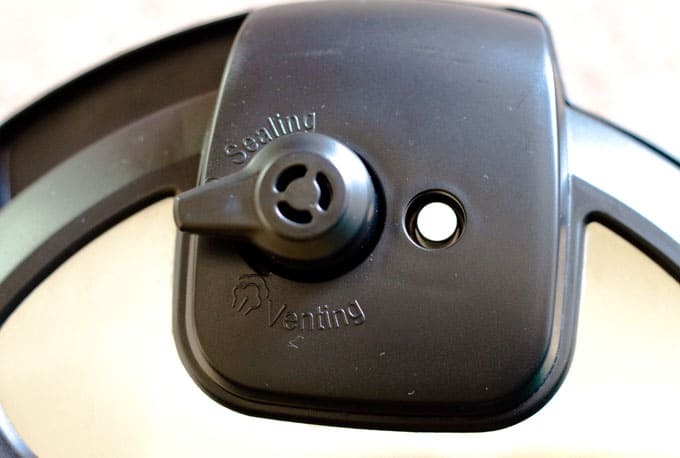 The steam release handle has been improved so it’s easy to tell if the pressure cooker lid is set to sealing for pressure cooking, or set to venting to release the pressure. Next to the steam release handle is the float valve that rises as the cooker comes to pressure and falls when the pressure has been released. The new float valve design makes it easy to tell when the pressure’s been released and you can open the lid. They added a lid holder to the handles of the Instant Pot so you don’t have to put your hot lid on the counter any more. It fits on either side. 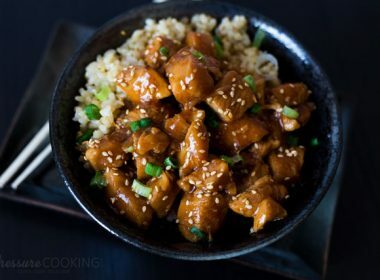 The Instant Pot in addition to be a fabulous pressure cooker is also a slow cooker, rice cooker and a yogurt maker. I haven’t spent much time using the programmed settings, but one day hopefully I’ll find time to give them all a try. 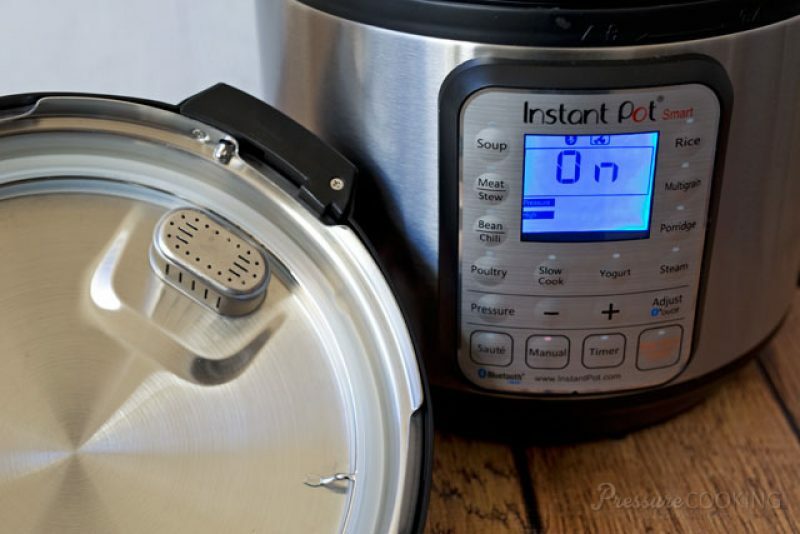 Laura, Hip Pressure Cooking, recently reviewed the Instant Pot IP-Duo and a did great post about making yogurt in the Instant Pot. Homemade yogurt has been on my must try list for a while now. The cooking pot is dishwasher safe and the lid has only a few pieces to clean. The only slightly difficult thing to clean is the rim around the pressure cooker. Although, I’ve found that if you push a bit of a wash cloth in to the rim and pull it around it works pretty well. If you’ve been thinking about buying a pressure cooker, I whole-heatedly recommend the Instant Pot IP-DUO60 Pressure Cooker . 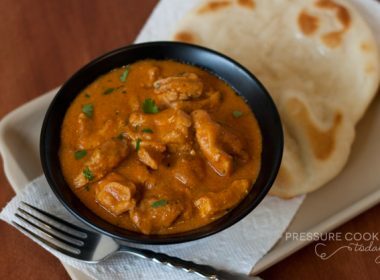 It’s the best pressure cooker I’ve used. The Instant Pot cooks meals faster with less energy while preserving more nutrients. I think you’ll love it too. 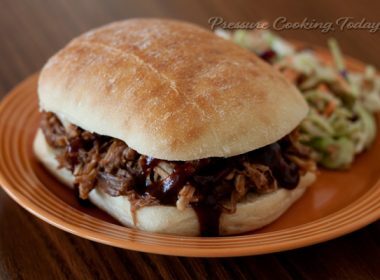 Instant Pot has a Free Electric Pressure Cooker Recipe Booklet. You’ll find information about how you can download it on the link above. 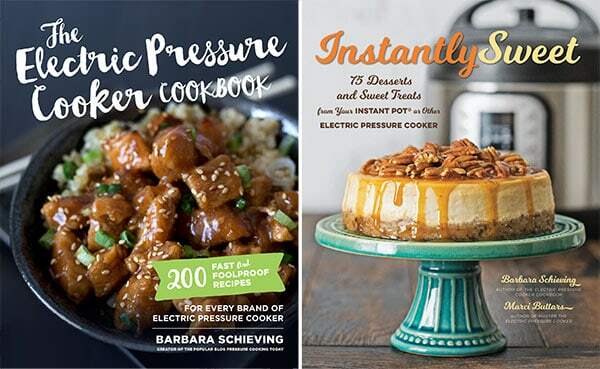 It’s a great electric pressure cooker resource with cooking time tables, as well as recipes from some of your favorite pressure cooking gurus, including a couple of my recipes! Update: I recently did a video that show how easy it is to use the Instant Pot IP-DUO. Disclosure: I received a free Instant Pot to review, but was not compensated for this post and all opinions expressed are always my own. Hello Barbara, I so appreciate your comments and how quickly you respond. I left a comment on the 29th of March and you got back to me in 15 minutes. My husband is going to Luke AFB on Thursday and they happen to have a IP-DUO60 for $99.00 Is that a decent price? Also what accessories come with that IP? I did pick up the oxo steam basket you suggested. Do you prefer the IP or your Power Pressure Cooker XL? They sell both at Luke. I was thinking the IP would be better mainly because it has 7 functions including making yogurt. What would you say would be the top 5 gadgets for me to pick up first? 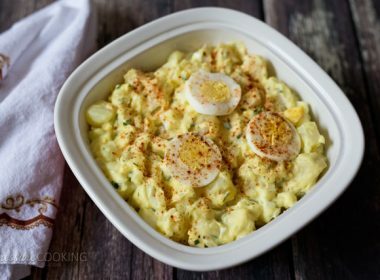 By the way, I just found your baking site, can’t wait to try some of those recipes and check it out a bit more. You have such good information on both sites. One final comment, Luke has one copy of your book left, they are holding it for my husband until Thursday, in the furniture department. :) Barns and Noble sold out. Thank you Barbara for all your help and great tips. 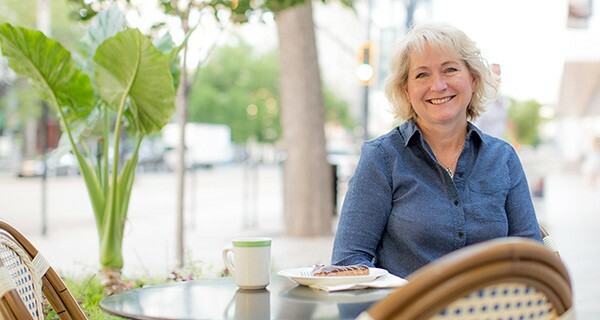 Hi Bonnie – such a nice comment. Thanks! Amazon currently has the Duo 60 for $99 as well and I much prefer it over the Power Pressure Cooker. The stainless steel pot holds up better and the settings are easier to use. It comes with a trivet / rack. Here’s a link to my Amazon store with my favorite pressure cooker accessories. https://www.amazon.com/shop/pressurecookingtoday Since you already have the OXO steamer, I would recommend the Fat Daddio’s round cake pan and the springform pan if you want to make cheesecake. How cool that they have a copy of my cookbook at the AFB. Have fun!! We have an IP-DU060 V2 Instant Pot. The instructions on P7 show how to “Remove and Install the Anti-Block Shield.” Is there an anti block shield on this model? The instructions don’t seem to match our Pot. Hi Bob – older models had an oval shaped anti-block shield – https://www.pressurecookingtoday.com/wp-content/uploads/2016/04/Instant-Pot-Smart-Pressue-Cooking-Today-800×534.jpg. The newer models have a much smaller round one – https://www.pressurecookingtoday.com/wp-content/uploads/2017/08/IP-Mini-Silicone-Gasket-800×534.jpg. If you’re having trouble removing the shield, it’s stiff at first, just slid a butter knife under it and it will usually pop off for cleaning. Tried making white rice and then brown rice. Follows instructions clearly and got a “BURN” message both time. Contacted customer support by phone…on hold for 30 minutes! 1) put oil in the bottom of the pot! WHAT? The whole purpose is to make food healthy and they suggest oil? 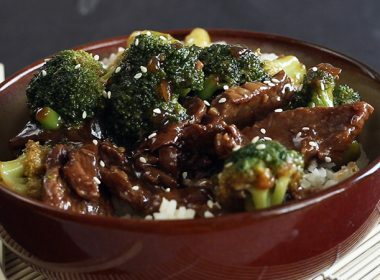 2) put the steamer rack and then another oven-proof bowl with the rice on top! WHAT? So I should use another pot and then risk burning my hands to get the pot of rice out. 3) then they said “there is a learning curve”. To make rice? There are 2 ingredients including water!!! Wash rice. Put rice in pot. Add water. Close lid. Press button. What learning curve? Bought 3 for presents and returning all of them. Sorry you had problems Mike – sounds to me like you didn’t have a proper seal and your pot lost too much water while it cooked and your rice burned. Did you try boiling just water and seeing how much water you’re losing? 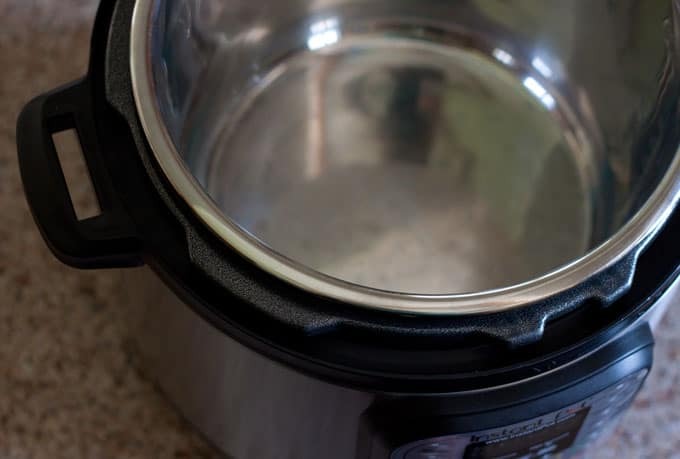 Typically the Instant Pot has an evaporation rate of 2% for every 10 minutes.